The Black mountains of the Greater Caucasus are abundant with healthful waters of Sernovodsk. 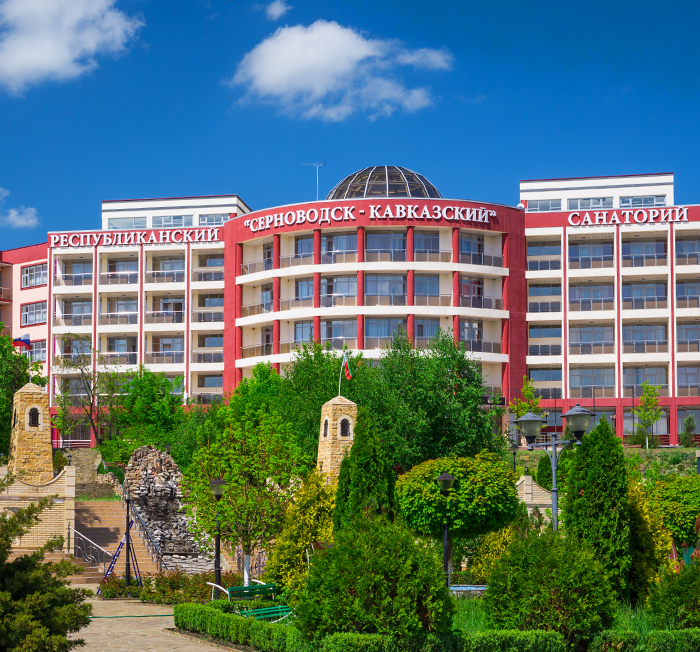 The village of Sernovodsk has long been known for its healing and incredibly delicious waters. It is from here that we extract the unique table-therapeutic water “Sernovodskaya”. Melting under neath the ancient ice capsof the Northern Caucasus take a long path through the rocks and the bed of the ancient Sarmat sea. This is where the waters get enriched with unique microelements with healthful properties. it is not exposed to any treatment except for such that is stipulated by the present standard. If you apply these requirements to Russia mineral waters then out of a thousand of them you would hardly end up with a 100. The taste of a mineral water depends primarily on its chemical composition. Despitethefactthat taste is a rather vague and ambiguous notion the consumers have given their votes for this or that brand long time ago. Suffice it to look at the comparativetable of chemical composition of the most renowned European mineral water brands. A study and comparative analysis of Sernovodskaya water along with European brands were performed by V.R. Altayev, the president of European Alliance of Bottled Waters. It is clear that by the content of many elements Sernovodskaya water of well 1 is close to the European waters. Thus the taste of this water almost repeats the taste of the most famous mineral waters. In particular, as per the conclusion made by V.R. Altayev, Sernovodskaya water is very much close to Perrier. As far as health properties of Sernovodskaya water are concerned unlike its European counter parts our water contains more potassium, more fluorides and natural iodine. All these components are of crucial importance for daily nutrition of every human being. Thewater “Sernovodskaya gornaya” features such a balanced composition of elements that just a couple of glasses are enough to supply a healthy diet with the needed amount of minerals.